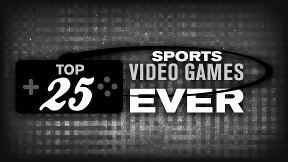 Every year, the best pro-athlete gaming competition is the EA Sports Madden Bowl, bar none. And this year, thanks to a partnership between EA and ESPN, the event will be broadcast live on ESPN3.com starting at 9:00 pm EST on Thursday, February 3. The broadcast will include tournament coverage, player interviews, and even musical performances by Big Boi and Cee Lo Green. For those unfamiliar with the event, the tournament pits the best gamers the NFL has to offer in a tournament to crown the best "Madden" pro around. Past winners include Dwight Freeney, Maurice Jones-Drew, and Antonio Bryant to name a few. This year, however, with the addition of "Madden NFL 11's" popular Online Team Play mode, the tournament will consist of three-member teams working together to see who is the best "Madden" team in the league. 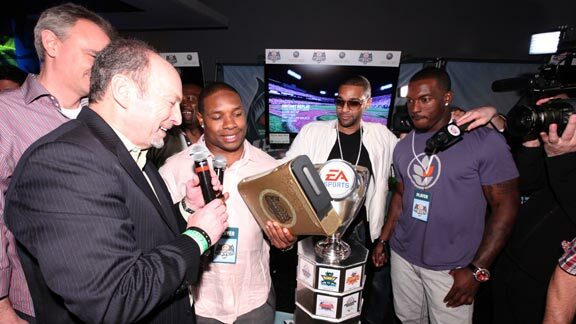 Other NFL players attending Madden Bowl XVII include: Michael Vick, Jeremy Maclin, Josh Freeman, Reggie Wayne, Larry Fitzgerald, Ndamukong Suh, and Brandon Lloyd. How would you categorize the chances of Kyler Murray going #1 overall in the #2019NFLDraft today?